CLAREMONT, Calif. - May 15, 2017 - PRLog -- Pelekinesis is pleased to announce the release of Calls for Submission, a collection of short stories from Selena Chambers. Selena Chambers' debut collection guides readers out of space and time and through genre and mythos to explore the microcosmic horrors of identity, existence, and will in the face of the world's adamant calls for submission. Victorian tourists take a virtual trip through their (and the Ottoman empire's) ideal Orient; a teenage girl learns about independence and battle of the bands, all while caring for her mesmerized, dead mother; a failed Beat poet goes over the edge while exploring the long-abandoned Government Lethal Chambers. Visceral, evocative, and with a distinct style that is both vintage and fresh, Calls for Submission introduces a glowing, new writer of the weird and strange. Praised by Stoker award winner Paul Tremblay as "…a wonderful, irresistible mix of the historical and modern, the literary and fantastic. These stories burst with humor, genuine emotion, wonder, and the dread of those who see the end coming." 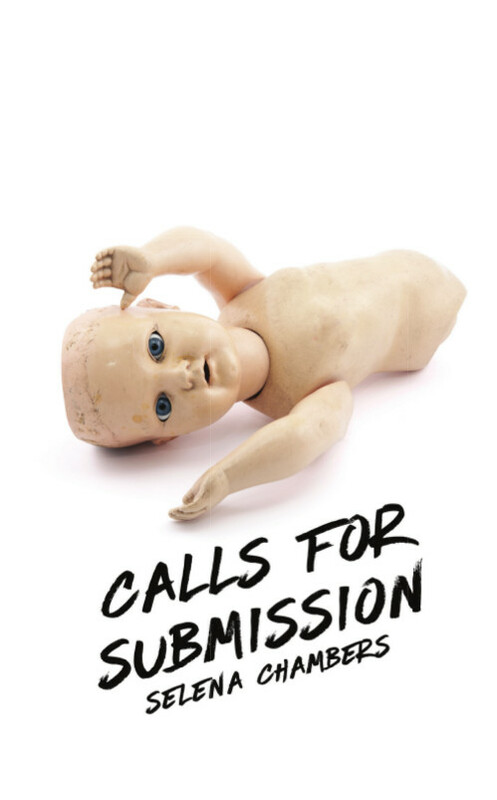 Calls for Submission by Selena Chambers is available through Small Press Distribution, Baker & Taylor, Bertrams, directly from the publisher's website, and in fine local bookstores worldwide. Selena Chambers' fiction and non-fiction have appeared in a variety of venues including MungBeing magazine, Clarkesworld, The Non-Binary Review, Pornokitsch, Tor.com, Bookslut, and in recent anthologies such as Cthulhu's Daughter (Prime Books, 2016), and Cassilda's Song (Chaosium, 2015). Her work has been nominated for a Pushcart, Best of the Net, the Hugo award, and two World Fantasy awards, including one in 2016 for the story "The Neurastheniac," included in this collection. Writing as S. J. Chambers in 2011, she co-authored the critically-acclaimed and best-selling The Steampunk Bible with Jeff VanderMeer (Abrams Image), but has since eschewed the initials. She is currently editing an anthology with Jason Heller for Hex Publishing named Mechanical Animals, forthcoming in 2018. You can find out more about her work and happenings at www.selenachambers.com.